4/12/19 - It has been brought to our attention that a mailbox service company has recently abruptly discontinued their private mailbox service. 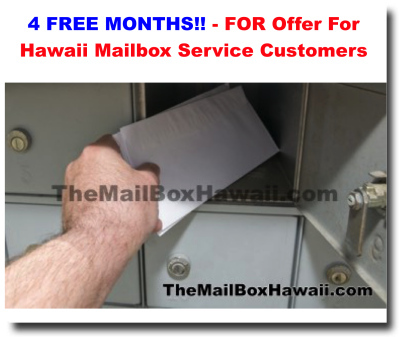 For customers who quickly need an alternative solution, we have a special offer to get 4 FREE MONTHS of private mailbox service. This offer is subject to end without notice...so don't wait. Requires proof that you had a mailbox at the company that discontinued their services. Fill out the form below to get your special offer code.